We all agree that physical exercise is essential to maintaining a healthy lifestyle. We focus on keeping our bodies fit, but do we adequately exercise our brains? The brain is a big muscle, and can be stretched and developed just like the other major muscle groups in our bodies. There are a number of companies out there that offer brain development games and exercises. Companies like Lumosity, and CogniFit are not few and far between. But did you know that there are some simple and practical ways to exercise your brain from anywhere in the world? Playing board games that require strategic thinking and tactics are a great tool for developing the mind. 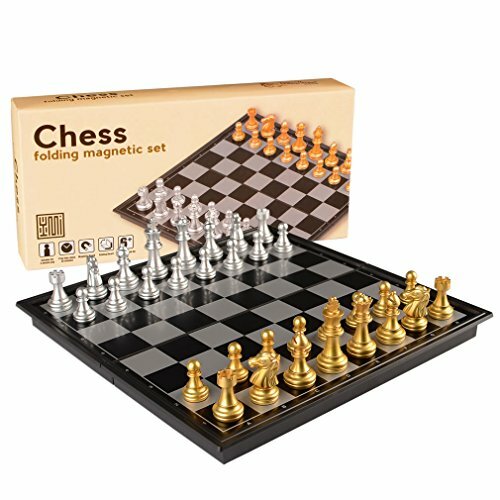 Games like Chess and Checkers are easy to start a pick up game with anyone, and are somewhat universal. Take your time. Think through your next move(s), and anticipate the move(s) of your opponent. This exercise can also teach us how to read and percieve situations, including how to anticipate the responses and reactions of others. A valuable skill to possess. We live on a social planet, and learning to observe and understand people is crucial no matter where in the world you are. This one seems simple, but is definitely easer said than done. Try writing without your dominant hand and see how well you can use your brain to tell your other hand what to do. There may be some difficulty, but that is all a part of the fun. Stretching your brain and teaching your muscles to do something that they are unfamiliar with is key. Think of how this could apply in social situations as well. Most of us have been in situations that were unfamiliar, and pushed us to adapt and develop new habits - no matter how difficult it may have been to do so. Ultimately, with perseverance and determination, we succeed at building new skills and growing as individuals in the process. This one is simple, and can be done alone or in large groups. Take a regular deck of cards, and place them all on a flat surface face down. Then, flip two cards over at a time with the goal of matching the two numbers. If they are not a match, then return them to their face down position, and try to match two different cards the next time. Once you have flipped over two cards with the same number, pick those cards up and place them in a pile off to the side. Continue attempting to match the remaining cards. This card game will help improve your memory skills. It may be difficult when you first begin, but you will see over time your ability to remember the location of certain numbers will improve. Try this exercise once or twice a day and see how often you forget where the car keys are. I love lists. I actually receive pleasure out of creating lists and checking the items off one by one. But, I must admit, I use lists to help me remember things that I have to do that day, month and even year. However, this game not only requires you to make a list but to memorize as many items on that list as you can. I know, sounds counter productive but it is well worth it! Try it. Create a list. Then, spend 30 seconds looking at the list and try to memorize as many items as you can. Now, put the list face down and try to jot down as many items from the list that you can remember. Then, compare your original list with the list of items you could remember and see how well you did. This exercise has improved my effectiveness at work and at home. My lists have gotten shorter, and more concise. At times, I can even make mental lists, and not have to write anything down. Now that's progress. I trust that you too will find the same beneficial results when you practice this method. Improve your photographic memory by, well, memorizing photographs or moments in your everyday life. This one is great, especially if you enjoy people watching as much as I do. Choose a specific scene, and then spend 30 seconds memorizing specific pieces of it. Whether it is the color of someones shirt, the style of someones hair, the color of their dog, the number of birds in the pond, the type of flower in the garden. Whatever you choose to point out, try to remember as much as possible. Then, after 30 seconds, you write down everything that you saw. No matter what comes to mind. Sometimes, things come to mind that you didn't intentionally point out - this is good! Developing a observant mentality can move you forward in your family and career in ways that may surprise you. You can learn an endless amount of new skills and opportunities if you have the ability not only to see and observe, but to truly remember and call upon those memories at the right time. You now have five ways to exercise your brain from anywhere in the world. The first step is committing these five things to memory. Then you can go and try them out for yourself. I hope you make some beautiful memories along the way! Wow thanks for this great information Anastasia. Keeping my brain healthy is a top priority! This is a really nice article and i enjoyed reading it. Sometimes we take these simple things for granted but they are very important to our cognitive development. Thanks for sharing. Thanks for your useful article. I really enjoy it and so surprise that the familiar action around us can improve our IQ and keep brain healthy also.